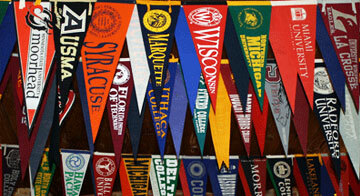 Counselors usually encourage students to find their "best fit" when it comes to selecting a college. What exactly does that mean, though? In short: a good college fit meets most of a student's preferences. Identifying a good college fit requires students to consider their academic, social, and financial needs. College admissions expert Jessica Velasco offers advice that can help students properly account for all of their needs and wants. As far as academics, students will want to check out the academic resources and major courses of study at each school. A school's social flavor can best be picked up by touring the campus and talking to current students. When thinking about financial needs, students should take care to calculate the true cost of attendance at each school. Finally, students will want to consider individual preferences like location and religious affiliation. Thinking about all of these items will lead students to a list of good college fits. Of course, spending time on campus to experience the school atmosphere separates the good fits from the best fits. How are you going to identify your good college fits? We would love to hear your comments below.